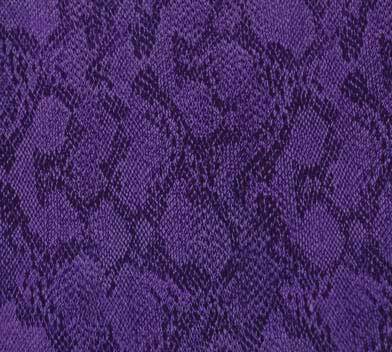 Ben Cassan Wildlife services the greater Orlando Florida area, including Conway. I provide pro wildlife control services - from squirrels in the attic, a raccoon in your garbage, armadillos digging your lawn or a snake in your pool, I can help you with a permanent solution to your wildlife conflict. Yes, of course I service Conway, and drive to this area very frequently. I am located in central Orlando, and can reach any area within 30 miles of downtown quickly. My service abides by the best quality of nice, honest, professional service. Highest quality of work, and 100% success rate. Lowest prices. That's what I stick to. 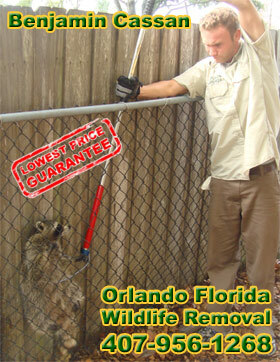 Here's my story: I run a one-man wildlife control business that services the Orlando area. I take your call on my cell phone 24/7. Go ahead and call me on a Sunday night! I will come to Conway to help you. I'm the one who comes to your house, and I'm the one who personally solves your wildlife problem. I work all hours, and I almost always can make a same-day appointment, and if not, next day. I show up on time, I have no hidden fees or hidden agenda like many other companies, and I just plain do the work right, at a fair price. That's it. My animal control company in Lake Conway handles all aspects of wildlife control. The most common problems that I deal with are animals in attics. Raccoons, squirrels, rats, and more commonly break into houses and live and nest in the attic. I humanely trap and remove the animals, identify all entry points, and seal them shut permanently with professional repairs for a permanent solution to your Conway animal problem. I do not operate a traditional pest control company. If you need Conway exterminator for insects, I am not the company. I do wildlife control only. That includes rodent control. My method for rat and mouse control is the best in central Florida. If you need Conway rat control, I provide the best, permanent solution. I perform dead animal carcass removal, both inside and outside homes, and odor control and attic cleanup services. I handle raccoons, squirrels, rats, mice, bats, pigeons, armadillos, opossums, snakes, and more. If you need a professional Conway trapper, please give me a call, and I will discuss your problem with you.